Coming Soon! 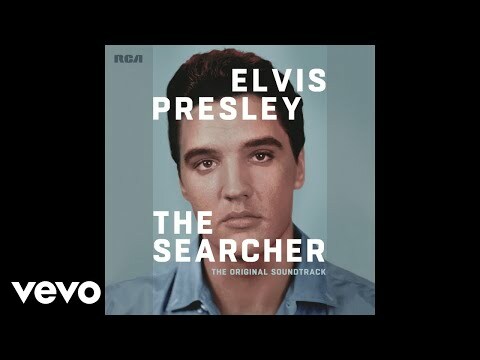 Mike McCready's latest original music score premieres Saturday, April 14 (8pm-11pm ET/PT) in HBO's Elvis Presley: The Searcher. The documentary's musical companion will be available in physical and digital configurations on Friday, April 6. My only problem is I ditched HBO a couple years ago. Do they normally release these docs on BluRay/DVD? 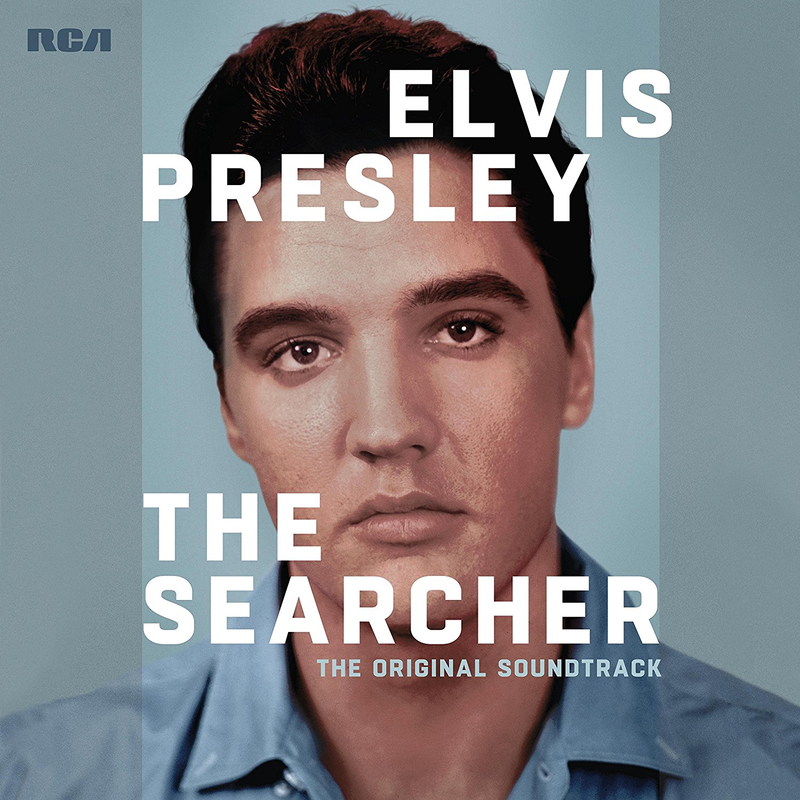 An expansive soundtrack to accompany HBO's upcoming documentary, Elvis Presley: The Searcher, will be released April 6th via RCA/Legacy Recordings. The soundtrack will feature a mix of Presley hits and alternate mixes, while a deluxe edition will feature selections from the documentary's score composed by Pearl Jamguitarist Mike McCready. The Searcher soundtrack will be available digitally and on CD and double vinyl LP, while the deluxe edition will packaged as a three-CD set. All versions are available to pre-order now. 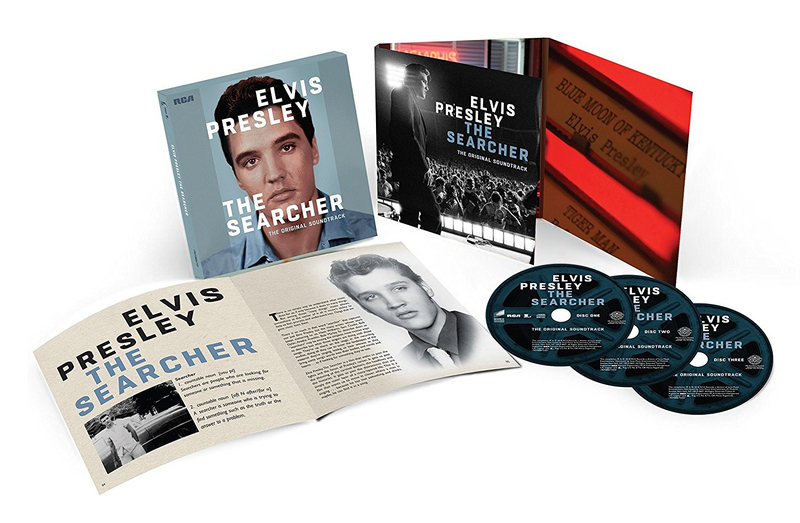 Along with the original soundtrack and parts of McCready's score, the deluxe edition of The Searcher soundtrack will include a plethora of bonus material including additional rarities, Tom Petty and the Heartbreakers' rendition of "Wooden Heart" and classic R&B, country and gospel songs that inspired Elvis. The set will also come with a 40-page hardcover book packed with rare photographs, liner notes from Warren Zanes and a note from The Searcher director Thom Zimny. "From day one I had a soundtrack in mind; one that would cover Elvis in a new way and go deep into the vault,"Zimny tells Rolling Stone of The Searcher soundtrack. "Thanks to the help of Sony Legacy and the efforts of Ernst Jorgensen, I was able to pore over thousands of recordings and Elvis Presley outtakes. 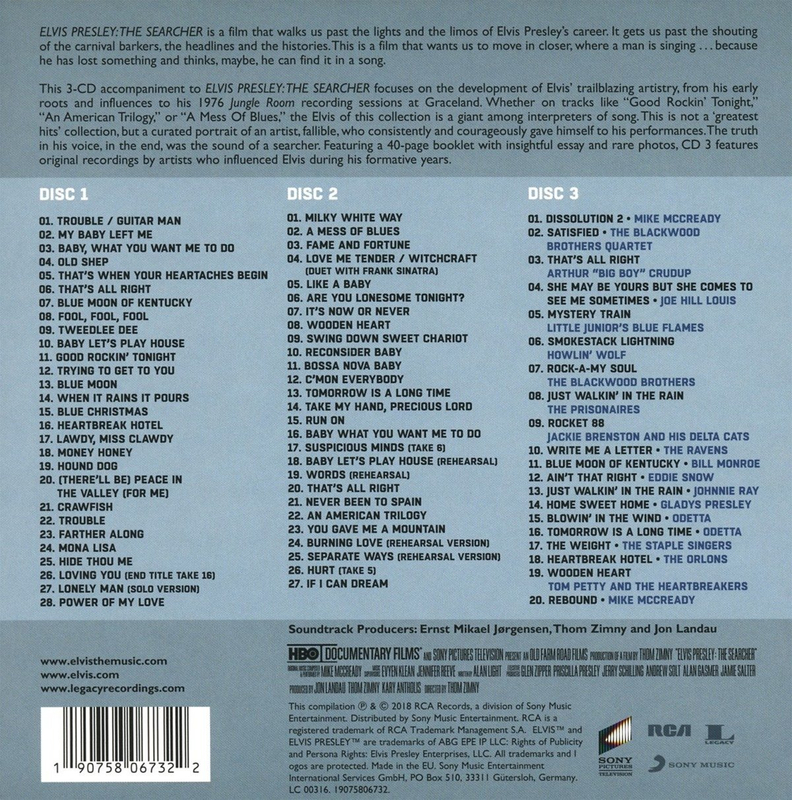 I also wanted the film's soundtrack to pay tribute to the many artists who influenced Elvis, and to incorporate their music to create a sonic landscape that I hoped would give the viewer the experiences Elvis had absorbing the many genres he was exposed to and influenced by – from gospel, to R&B, to country." He added that McCready's score "brought additional sonic textures and emotional overtones that helped to capture this artist's journey." The Searcher will premiere on HBO April 14th. The two-part, three-hour documentary will chronicle Presley's life from childhood to his final Jungle Room recording sessions in 1976. The film was made with the cooperation of the Presley estate, and Zimny was reportedly allowed unprecedented access to the Graceland archives. 1. "Trouble / Guitar Man"
2. "My Baby Left Me"
4. "Baby Let's Play House"
12. "Are You Lonesome Tonight?" 13. "It's Now Or Never"
14. "Tomorrow Is A Long Time"
18. "If I Can Dream"
3. "Baby, What You Want Me To Do"
5. "That's When Your Heartaches Begin"
7. "Blue Moon Of Kentucky"
10. Baby Let's Play House"
12. "Trying To Get To You"
14. "When It Rains It Pours"
20. "(There'll Be) Peace In The Valley (For Me)"
28. "Power Of My Love"
2. "A Mess Of Blues"
6. "Are You Lonesome Tonight?" 7. "It's Now Or Never"
9. "Swing Down Sweet Chariot"
13. "Tomorrow Is A Long Time"
14. "Take My Hand, Precious Lord"
16. "Baby What You Want Me To Do"
21. "Never Been To Spain"
23. 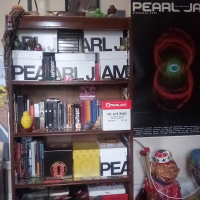 "You Gave Me A Mountain"
Mike's stuff is not on the LP edition. Blah! So CD & 24Bit Flac then? that's cool. The soundtrack is today's daily deal on popmarket. wooden heart by TPAH i have never even heard of that song! 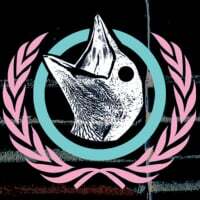 3CD set from Amazon Canada has shipped out!